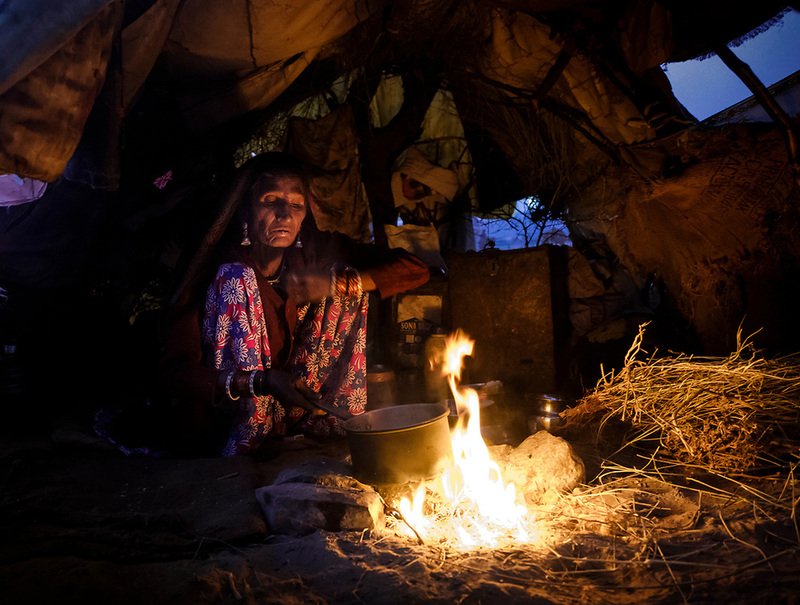 PUSHKAR, INDIA - CIRCA NOVEMBER 2016: Indian woman early morning preparing breakfast inside a tent during the Pushkar Camel Fair. It is one of the world's largest camel fairs. Apart from the buying and selling of livestock, it has become an important tourist attraction.